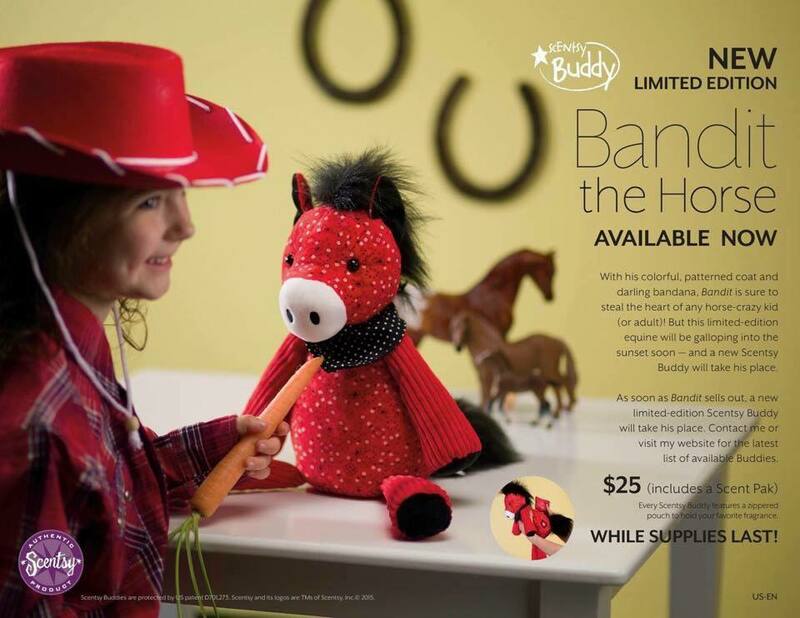 New Scentsy Buddy Horse, available while supplies last! With his colorful, patterned coat and darling bandana, Bandit the Horse Scentsy Buddy is sure to steal the heart of any horse crazy kid (or adult)! But this limited-edition equine will be galloping into the sunset soon—and a new Scentsy Buddy will take his place. Every Scentsy Buddy features a zippered pouch to hold your favorite Scent Pack fragrance, and the Scent Pack of your choice. Buy your Bandit the Horse Scentsy Buddy before he gallops away! UPDATE** This fun Scentsy Buddy was a quick seller and is already sold out! But there are still a great selection of other super cute and fun Scentsy Buddy to choose from and each new Scentsy Buddy comes with a free Scent Pack of your choice! 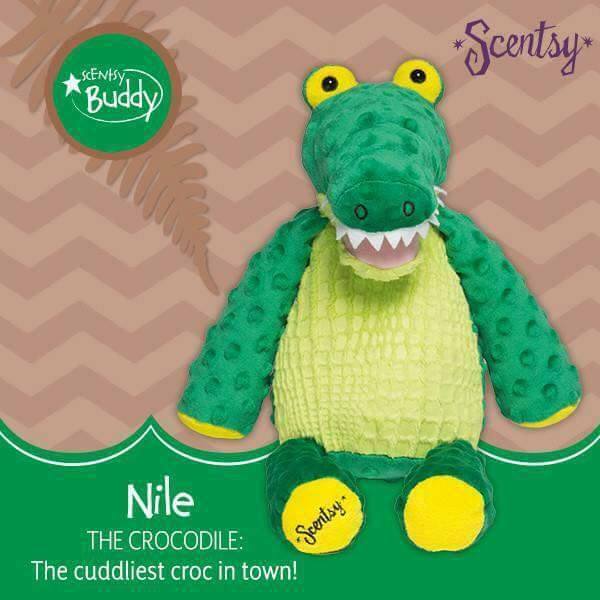 Visit our Scentsy Buddy page to learn more about this exciting new product and to browse our current collection of Scentsy Buddies. 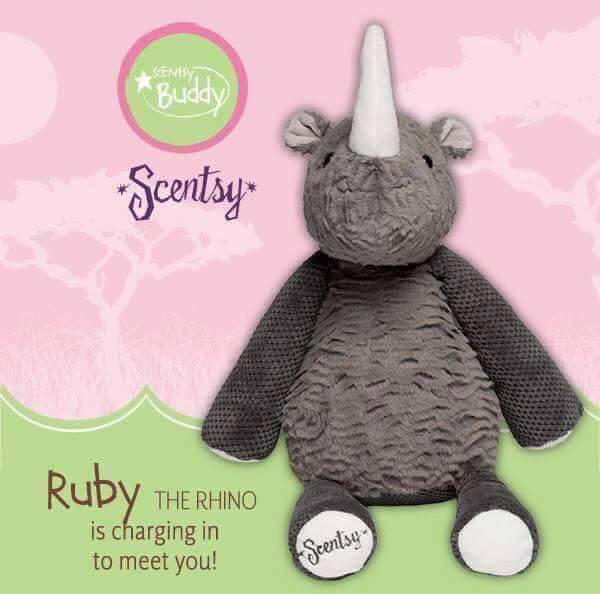 Due to the nature of Scentsy Buddies, they are available while supplies last only, and then are discontinued and unavailable to buy. So, here are the currently available Scentsy Buddies, but check back, because they are often changing, and are definitely not available long term!